You are here: Home / Motoring / RIAC National Classic Car Show Returns to RDS on the 1st and 2nd March 2014. RIAC National Classic Car Show Returns to RDS on the 1st and 2nd March 2014. 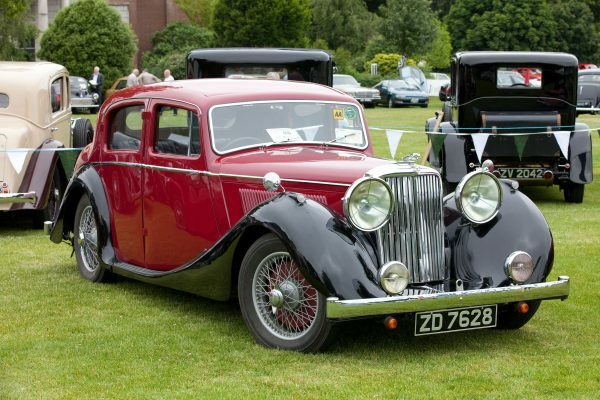 The Royal Irish Automobile Club announced today that the prestigious RIAC National Classic Car Show, which is supported by AXA insurance, will return to the Simmonscourt Hall at the Royal Dublin Society Showgrounds in Dublin on the 1st and 2nd March 2014. The inaugural show last February saw huge numbers attend the RDS to see the finest collection of classic, Veteran and Vintage cars ever gathered together in Ireland. Vehicles that were displayed included some of the rarest examples of their marque. Exit polls showed one of the highest satisfaction ratings ever recorded at an event in the RDS and this prompted the RIAC to proceed with an all new show in 2014 and thereafter every two years. 1946 Jaguar Mk. IV Supplied by Frank Cavey & Sons of Camden Street, Dublin, who were Jaguar Agents and Assemblers since 1937, to a jeweller in August 1946. The car was lovingly restored in the 1990's by a longstanding member of the Irish Jaguar and Daimler Club when the original Gun Metal Grey colour was changer to a more attractive Maroon over Black two tone scheme to better show off its very attractive styling. The space allocated to Clubs has been doubled and as a result no less than 36 clubs will be featured, up from the 18 Clubs at the 2013 show. As a result visitors, whether an avid collector or someone looking for information on how to get started, will have the best opportunity to meet with enthusiasts from all over the country to share their passion or ask for help. The clubs in 2014 will have their own section within the show. 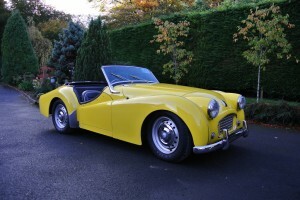 1956 Triumph TR3 This very attractive TR3 was assembled in early 1956 at Stand-Triumph (Eire) Ltd's assembly plant at Cashel Road, Dublin, from a CKD kit supplied from Coventry. It is an excellent example of a very original, all numbers matching TR3 and will be displayed on the TR Register's stand at the 2014 RIAC National Classic Car Show. In addition to the increased numbers of clubs attending there will be new feature stands, an autojumble for the first time, an Irish Motor sport section, a dedicated restoration feature and much more. As this is a family orientated event emphasis has also been put on creating a dedicated family section which will, amongst other entertainments, feature the Road Safety Autority’s ‘Street Smart Kids’ interactive learning initiative promoting road safety for children from the ages of 5 up to 12. For spectacular displays of truly amazing classic cars and entertainment for all the family, visit The RIAC National Classic Car Show 1st and 2nd March 2014.